The grow pattern of the plants that will grow out of these CBD Girl Scout cannabis seeds will not hassle the grower too much. 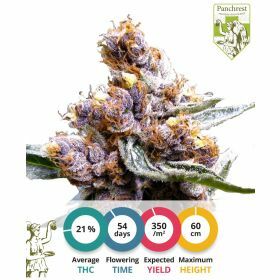 The CBD Girl Scout Cookies are pretty easy plants to grow. They will not grow very hard, wide or high, but instead will keep a lovely small posture. The plants do not need to be heavily fertilized, but love to grow in a medium with low ion concentration. There is no real grow advice to be given for this plant. Put the seed in the ground and the genetics do the rest. To get the best results one should grow these cannabis seeds in a lightly fertilized soil. 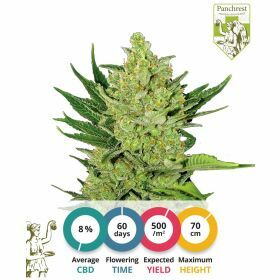 You do not need to use heavy chemical fertilizers to grow this CBD Girl Scout Cookies plant. All it needs is some water, heat, light and love. 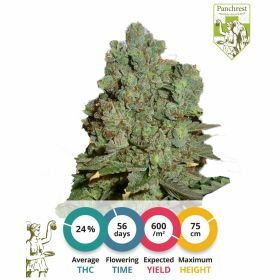 The smoke advice to be given for this strain is simple, crisp and clear: Smoke on your own risk, because this one is a hard-hitter. 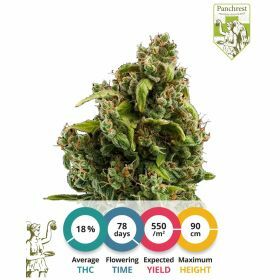 Because of the high resin production and the high CBD content of the resin, the buds that are harvested from these CBD Girl Scout Cookies cannabis seeds will stimulate sleep and help relax your muscles. The herb that this strain yields is most often used for the production of medicinal oil. The THC-CBD ratio of this oil is very versatile and the oil that is made is a universal medicine of high quality.